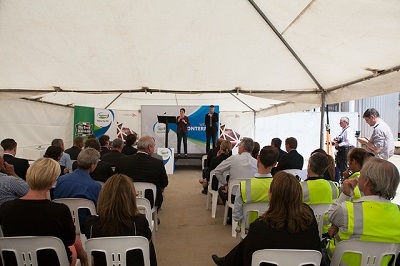 Fonterra has announced that it will invest $141 million to build a new cheese plant at its Stanhope factory in Victoria. According to the official announcement, the new plant will replace the plant that was destroyed by a fire last year and is set to make 45,000 tonnes of cheese annually. 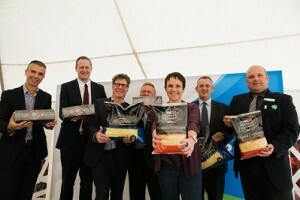 The plant will produce parmesan, gouda and mozzarella under the Bega, Mainland and Perfect Italiano brand names. Construction will begin next year and is expected to be completed in 2017. “Today’s announcement is strategy in action, where we are delivering on our strategic plan to transform our Australian business and return it to strong and sustainable profitability. We are focusing on areas where we can win in a highly competitive market, and that means optimising our product mix and investing in higher value add products that will deliver the best returns for our farmer shareholders. Rebuilding and expanding our Stanhope cheese plant is key to this,” Fonterra Oceania Managing Director Judith Swales said. Ms Swales also said that the new plant means that the future of the dairy industry in Victoria is secure as it will require significant growth of the local milk pool by 2020. The new plant will also generate up to 30 jobs and 75 construction jobs during the 18 month building and commissioning phases. 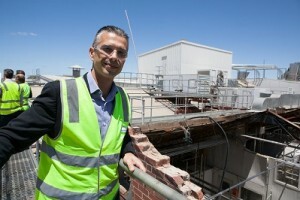 The project is supported by the Victorian Government through its $500 million Regional Jobs and Infrastructure Fund. “We acknowledge and thank the Victorian Government for their support of this project, which will help secure Stanhope’s future as a world-class producer of cheese,” said Ms Swales. “Fonterra’s significant investment in their Stanhope facility is a major vote of confidence in Victoria’s dairy industry and confirms regional Victoria’s reputation as a great place to do business. This project is a great example of our Regional Jobs and Infrastructure Fund in action,” said Agriculture Minister Jaala Pulford.